Here’s a link to an interesting jingle aimed at saving young lives. Alternatively, it could be viewed as a waste of dosh by an organization with more money then sense. Whatever it is, it’s just another example of how Australia is becoming more and more of a ‘Nanny State’. 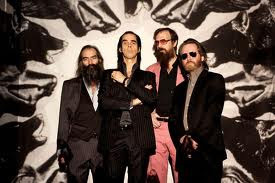 Melbourne’s Nick Cave with Grinderman. Rock doesn’t get much harder. first two chapters on the links below.